a Reproduced from A. A. Ismail, M. W. Gouda and M. M. Motawi, J. Pharm. Sci., 59, 220 (1970). 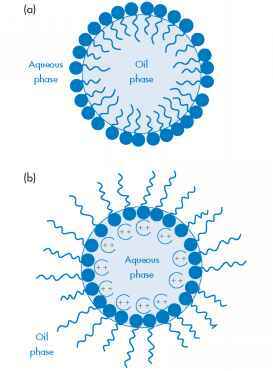 surfactant on its solubilising capacity is again dependent on the location of the solubilisate within the micelle and is complicated by corresponding changes in the micellar size. Table 6.11 shows the solubilisation capacity of a series of polyoxyethylated nonionic surfactants with a hydrocarbon chain length of 16 (C16) and an increasing number of ethylene oxide units (E) in the polyoxyethylene chain. As seen from this table, the aggregation number decreases with increase in the hydrophilic chain length so, although the number of steroid molecules solubilised per micelle also decreases, the total amount solubilised per mole of surfactant (number of steroid molecules per micelle x number of micelles per mole) actually increases because of the increasing number of micelles. Similar results were observed in a study of the solubilisation of the poorly water-soluble mydriatic drug tropicamide by a series of poloxamers.20 Fig. 6.40 shows an increase of solubilisation (expressed as moles of tropi-camide per mole of poloxamer) with increase of the oxyethylene content of the poloxamer. When the data were expressed as the number of moles of drug solubilised per ethylene oxide unit of the poloxamer, however, the solu-bilisation capacity decreased with increasing ethylene oxide chain length. Again, the reason for this decrease is that the micellar size per ethylene oxide equivalent decreases with increasing length of the ethylene oxide chain.